Nora Prentiss. - That courtroom scene where [the wife] was asked if she had ever seen the defendant. Wow, what was that look? Recognition, he looks like my dead husband? Shock due to the horrible scars of this stranger? I am inclined to believe she knew him but denied it, choosing to save herself the humiliation and her children the sadness of having a husband/father who would choose to leave them. Not to mention the insurance money. Did all that go through her mind in that split second? I like to think so. It didn't occur to me that she might have decided not to put her kids through knowing their dad left them. That's a good take on it. Especially since she got the birthday present for her daughter 'from' the dad. If you look at it your way, the birthday present scene is even better. I'd never seen this movie, either. It was too long. And I didn't believe he'd leave his kids. His wife, maybe, his daughter, no. Or it should have bothered him more, or something. He was so quick to dump his kids. I liked when he became stir crazy in the hotel room and Nora resented his needy jealousy. He fell apart, and then I couldn't see why she didn't leave him. Not really a discussion of the elements of noir, sorry. The guy she ends up with... I've always thought he looks like Sheldon Leonard. You can't sock Lana in the mouth and endanger her breathy pout! I think she was her most gorgeous in this movie. In Postman she's too... too. The shorts and the turban never did it for me. I think about how uncomfortable she must be. But in Johnny Eager she's spectacular. Just finished watching "Nora Prentiss". I thought it would be a fast-paced melodrama but to my pleasant surprise it was not. I really liked the story and characters. I've always thought Ann Sheridan was underrated and this film under scores that. I'm beginning to better understand film noir after watching "The Letter" and this film. In both films, otherwise good people knowingly commit crimes out of desperation and scheme to get away with it. I am looking forward to watching "Dark Passage" and "Born to kill" next. By the way, I do enjoy fast-paced melodramas too. Born to Kill came on too late for me to watch, but I've seen it plenty times before. Claire Trevor is the queen of noirs to me. Come on falling for someone you know is a murderer. Elijah Cook Jr. as the pug ugly. Walter Sleazak playing a sleazy role. Mrs Kraft. Hands down this is one of the best noirs. It's dark, but the diaglogue is great and it has it lighthearted moments to keep you going..
1. We can easily see the influence of the lighting and shots from movies like 'M' on later noir films, but I think it is a mistake to think all noir movies have to have this kind of lighting. To me, noir films have a darkness of attitude or situation - they take place often in an "underworld" of sorts not seen by "normal, respectable" people - and while the stereotypical noir lighting and cinematography can be used to convey that feeling, it can also be conveyed by dialogue, acting, and situations or scenery. A a greasy spoon diner at lunch in a downtrodden neighborhood can be just as 'noir' as a seedy bar . 2. I missed most of La Bete Humaine (I fell asleep because 'M' was on so darn early ) but the introduction of his "compulsion" to strangle his godmother's daughter (I think that was the relationship) seemed kind of odd. 3. I think High Sierra deserves a noir nod because the protagonist just can't catch a break - the job where he "can't see anything wrong with it" goes sour, the guy who's supposed to pay off dies, the second pay-off guy delays payment, then he's ratted on and has to run. Even when he tries to do good things they don't work out well. Eleanor Johnson (played by Ann Sheridan) is a strong female lead in Woman on the Run. She is in almost every scene and has most of the snappy lines of dialogue, too. It was great to see her against the backdrop of San Francisco. But The Letter has the monopoly on strong female leads. Bette Davis gave a fantastic performance. It's hard to believe, but I think even she is upstaged anytime Mrs Hammond is onscreen. When Mrs. Hammond sells the letter to Bette Davis and her lawyer, she throws it on the floor and forces Bette Davis to pick it up. Davis does pick it up. And says thank you, too! And, of course, the entire sequence at the end with the knife (which Davis had admired in the shop just before buying the letter) was fantastic. Davis willingly follows the moonlight out into the night to meet her fate with Mrs. Hammond. Great ending that took me by surprise. Some additional thoughts on Woman on the Run: I wondered why did Frank thought he could outwit the gangster better than he could outwit the SFPD, and why didn’t anyone else recognize a gangster working in San Francisco. But I didn’t care. I was willing to suspend my disbelief because I was rooting for Frank and Eleanor Johnson. I knew almost from the beginning that the gangster was impersonating a journalist, but somehow I believed that Eleanor didn’t know. Additional thoughts on Victor Sen Young: Did anyone else notice Victor Sen Young in both movies? In Woman on the Run, he played Sammy Chung the owner of the dance hall in Chinatown whose wife was murdered. He also played Ong Chi Seng, the legal assistant in The Letter who we think is helping Bette Davis’s lawyer win her case but is really in on the plot for revenge. He gives such a different performance in both movies. Great to see in a supporting role. I was able to see a couple of the films yesterday. It's odd, but I always seem to catch "High Sierra" at the same point-about 20 minutes before the inevitable end. This time, however, I was captivated by the locale, having just made the annual pilgrimage to #Manzanar, which included lunch in Lone Pine and a view of Mt. Whitney, all of which are featured in the film. Glad to see "The Maltese Falcon" again, "Nora Prentiss" for the first time, and "Dark Passage;" I adore #AgnesMorehead, too! Paying close attention not only to the lighting, but the camera angles this time around. Well, I was fortunate enough to have been able to view "Woman on the Run" for the first time after it's complete restoration. I have to say that it's one of the most depressing Film Noirs I've ever seen. It was good, suspenseful, full of action; it had all of the prerequisites of a classic Film Noir, but, I felt there was something missing. I can't put my finger on it, perhaps it was indeed that Ann Sheridan wore the same dumpy coat through most of the movie and, yes, in her movies she's usually a clothes horse. It just doesn't hit the mark in my book. After watching "Nora Prentiss" for what I thought was the first time, it began to become more and more familiar to me, I had indeed seen it before. I was under the misimpression that she was a "bad girl" and would lead Richard down the wrong path, however, in actuality, she was actually a victim. If she told him once, she told him several times that their relationship was wrong and she even went to the extreme to actually leave him and leave town. Unfortunately for Richard, he had to touch the fire. I laugh because in that one scene with Lucy, had she only "thrown him a bone" he would have been very contented to stay home and never get involved with Nora. Funny how life works. I was also surprised to see Clifton Young as of all things, a policeman, especially after I had just posted that he was always playing some kind of slithery rat in these movies. "Dark Passage", which I've seen many, many times, is, of course, a wonderful movie. 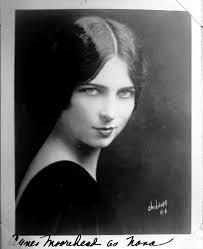 Agnes Moorehead is like a prickly pear, she just pokes and prods and pokes and made even me want to push her out the window, even though I know she fell. She's so nosy and pushy. Bruce Bennett seems to me to never really get angry. In the roles he plays he's so wishy-washy, I want to say, stand up for yourself or your friend or anything...just stand up! After watching M online this week I was able to watch Nora Prentiss & Woman on the Run last night. Enjoyed both movies. I wondered if the wife did recognize her husband but chose not to reveal that information for the good of her family. Like the twists in Woman on the Run. I had never seen this film before and after viewing last night, I don't think it'll ever be one of my all-time favorites. However, I did find one scene in particular really stuck with me and made me want to explore (in my mind, at least) the life of a more minor character from the film - the wife. That courtroom scene where she was asked if she had ever seen the defendant. Wow, what was that look? Recognition, he looks like my dead husband? Shock due to the horrible scars of this stranger? I am inclined to believe she knew him but denied it, choosing to save herself the humiliation and her children the sadness of having a husband/father who would choose to leave them. Not to mention the insurance money. Did all that go through her mind in that split second? I like to think so. My view too is that she recognized him, but probably the shame of divorce and desertion made it easier for her to pretend she didn't. Plus, being cynical about this, as it was murder wouldn't she have received an very nice insurance payment she'd have to re-pay if she acknowledged him a her spouse? How excellent was "Woman on the run"! Where has this film been hiding? The last 20 minutes taking place in the amusement park had a Hitchcock-like feel to it. Very suspenseful. I Have never been to San Francisco but I have a better feel for the city now because there were many outside scenes. I'm really enjoying these movies. I just finished watching "M". I have never been a Peter Lorre fan but he was fantastic in this. The ending left me with the feeling of "who is guilty?" "Who are then bad guys?" and "who is responsible?" I consider myself pretty much a law and order person but this movie had so many twists into gray from black and white. The gangsters are trying to stop the murderer (good) but it is because it is cutting into their profits from crime(bad). The cops (good guys) are raiding clubs to look for the murderer but instead are arresting some minor criminals (no papers? off to the precienct!) The everyday towns people are jumping on the accusation bandwagon and attacking another just because someone else makes an accusation. The truly "bad guy" in the movie and his "defense counsel" have an explanation of why his crimes are different that the mob court. Lorre's character isn't responsible because he cannot help it. Can someone driven by a demon (or mental illness) be held truly responsible for their actions? There is also a bit of responsibility put on the murdered children. At one point someone states that children can be easily led astray with candy or apples. they feel over their children's death. I've been thinking about the last scene of M and the warning to parents (mostly mothers, by the way!) about watching out for their children. It's a compelling ending, although it does sound like the director is blaming the parents and children. But what if he and the mother are really making a plea? Maybe the only ones who can really protect children are the ones who love them. Another thing about this film that really struck me was the unofficial trial by all the underground criminals. They were the ones who found the killer, but they are prevented from killing him by the rule of law, which steps in at the last minute. This scene was handled brilliantly, I thought, by having the criminals stopped by something that appears on the scene but off-screen. During the "trial," Peter Lorre's character accuses all of them of committing crimes, but especially the leader behind the desk of committing murder. Lorre asks if he is just as guilty because he cannot help what he does. The dialogue in that scene makes the case for both sides, and it's a fascinating exchange. Peter Lorre was superb in M; his anguish and terror at being who he is is just amazing. I really enjoyed this movie. I had never seen Ann Sheridan in anything before. I thought her and Dennis O'Keefe did a great job in their roles. I can see why Scarlet Street was recommended! What an incredible film! Great cast, reprieve of The Woman in the Window. Quintessential noir and still unique. Very clever way to deal with the Hays Code, not what you'd expect. Our instructor knows his stuff! Yesterday was such a great day to be at home and watch all my favorite San Francisco-themed Noir flicks. Living here in this city is inspirational - to say the least - but so much fun to see a landmark that we know so well. We are also fortunate to have our own Noir festival at The Castro Theater in February and I'm thrilled to be taking part in this Summer of Darkness! I too think his wife recognized him. And he knew that she did as well. Her look seemed to be saying, I know who you are and I am not going to suffer any more humiliation! It is what he wanted his wife to do, as he has such guilt. He wants his children to remember him as a good man and father. I found the ending strange and interesting. He recedes into the abyss, as if he has never existed. As Ann Sheridan leaves the courthouse, Robert Alda is waiting in the wings for her, as his character has always done. She leaves and he simply follows her. The End. I watched The Letter yesterday and it was such a great movie. Bette Davis never has to say a word she just has to give the looks and you know exactly what she is thinking and feeling. Don't anyone miss "The Big Heat" today. That's a real biggie of film noirs. Films I would watch over and over- seeing something new each time are: Laura, The Letter and Mildred Pierce. Glad these films are part of the course. I've been thinking about Stranger on the Third Floor (which I watched at 5am this morning) all day. An odd film really in many ways: did I read somewhere it's often called the first film Noir in US cinema? Anyway, I did like the lighting (the light through the blind slats used so effectively) and some of the more experimental ideas in the dream sequence, and, of course, Peter Lorre was as terrifically creepy as ever..which brings me to my thought: he was innocent! Lorre's character never actually came out and said he killed the men until he too was dying (did he actually know what he was agreeing to? ), he just didn't want to "go back" to the institution. And where was the evidence? He was odd, he lurked around, but that doesn't necessarily make him a killer. Where was the motive? Why did he want the guy in the diner and the old man on the third floor? No, the finger was pointed at Michael Ward in the film, indeed he was briefly jailed for the murders, and I have to say that the evidence seems far stronger against him: the rows with the neighbor, the use and threat of physical force, the fact he was first on the scene at both murders, the strange dreams and interior monologue; did he have a psychotic break perhaps, or did he feel the best way to "get his big break" and the girl of his dreams would be to manufacture a story of murder and solve it himself? Maybe the film really was more Noir than it initially seemed! Just finished watching "Dark Passage" with a powerful performance by Agnes Moorehead. "You know, it's wonderful when guys like you lose out. Makes guys like me think maybe we got a chance in this world." First, I think the early 40's marked the transition of the broader theatrical style of acting to a more natural and believable style. I felt there were a few times the director should have gone for "less." In the opening, for example, when the moon comes out from the clouds and Davis looks almost bug-eyed into the sky, it broke the "reality" of the moment for me. It sad too because just previously she did such a great job coldly shooting Mr. Hammond. Second, I understand that the (spoiler alert ahead) ending of the film was originally planned to be the moment when Davis tells her husband her true feelings. The Hayes code required her to pay for her crimes. Hence her final meeting with Mrs. Hammond was added in later. I think this actually makes the movie better. I like the cold lack of emotion Mrs. Hammond had throughout. Without speaking a word of English she somehow conveyed the rage she felt about loosing the man she loved. I just watched M. The thing that struck me most was all the cigarette smoke. It seemed to symbolize chaos and confusion that swirls around the police and government officials as they investigate. When the begger sorts the remains of cigarette and cigar butts so systematically, it represents a shift to the criminal approach to finding the murderer. The dialogue in the trial scene was incredible.